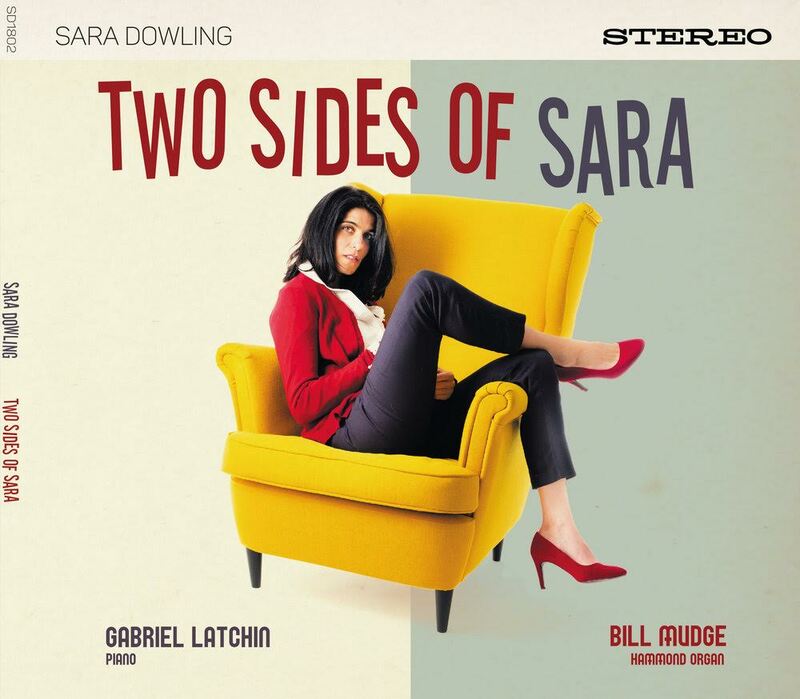 Olive Rudd (vocals); Bob Wade (trumpet/flugel); Paul Gowland (tenor); Don Fairley (trombone); Colin Haikney (piano); Alan Rudd (bass); Tommy Graham (drums). 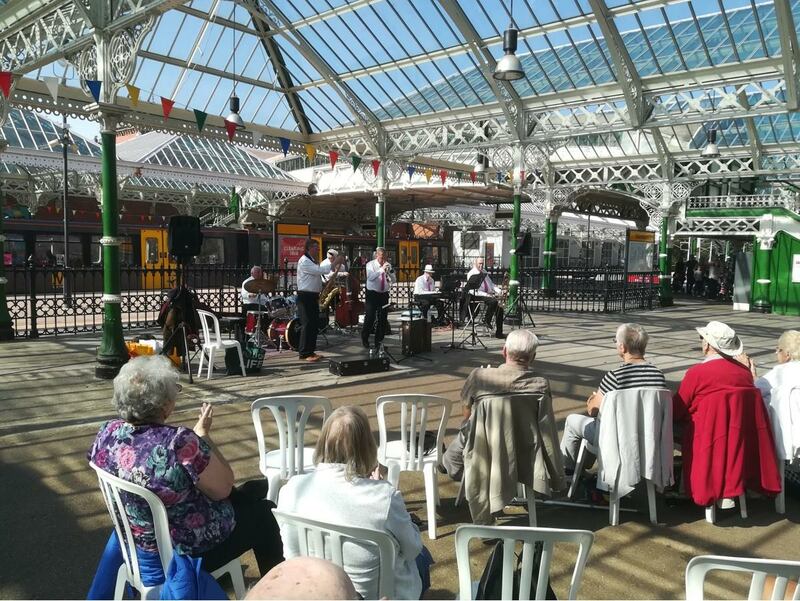 The never-ending roadworks at Silverlink meant that I missed the first 15 minutes of Classic Swing at Tynemouth Station today. For a change, the plastic chairs provided were really comfortable. The acoustics were great, on this, a calm summer's day. The only thing to only spoil it was a security alarm going off in the distance for the whole of the show. 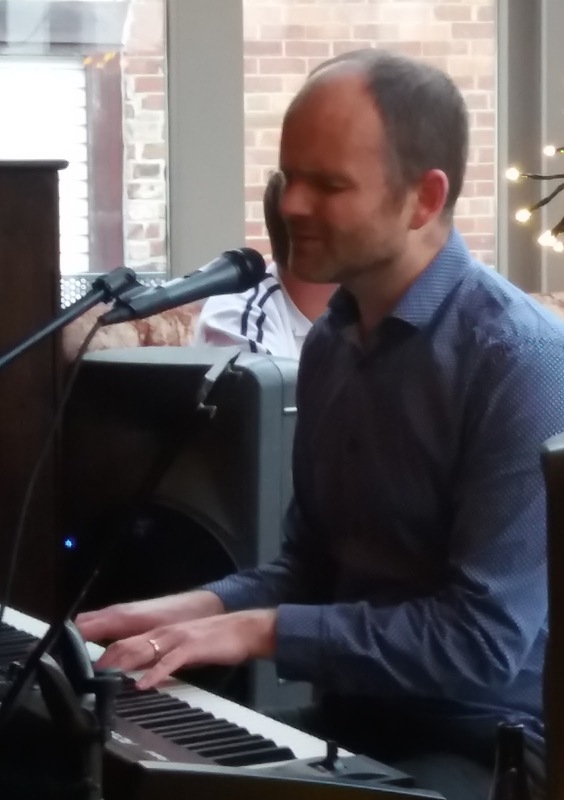 The band played better than ever and Paul Gowland (sitting in for Jim McB) really impressed when he did On Green Dolphin Street as a solo. 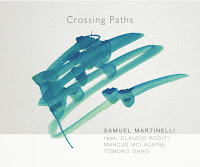 Classic Swing seems to be progressing into more modern styles of jazz and have an ever-increasing pad. The audience went home happy – many of them with at least one of the 30 items on offer in the raffle. This band is developing quite a following and many of them were dancing - there is plenty of space at this venue for that! It's a shame that this is the last of the outdoor gigs this year but hopes are high that it will continue in 2019. Gerry Richardson (organ/vocals); Garry Linsley (alto); Rod Sinclair (guitar); Adam Sinclair (drums). Back in the day (late '60s/early '70s) when Booker T and the MGs were the Stax house band as well as driving around the charts in their own name I'd have balked at describing their music as jazz. Soul/funk? yes, but jazz? no way! How times have changed and, upon reflection, a lot of that music was jazzier than some of the stuff being labelled as jazz today! Certainly, last night's gig by Gerry R and the E-Types could be classified in any of the above genres but, at the end of the day as the Duke of Ellingtonia famously said, "only 2 types of music - good and bad'. This performance was, without doubt, in the former category. 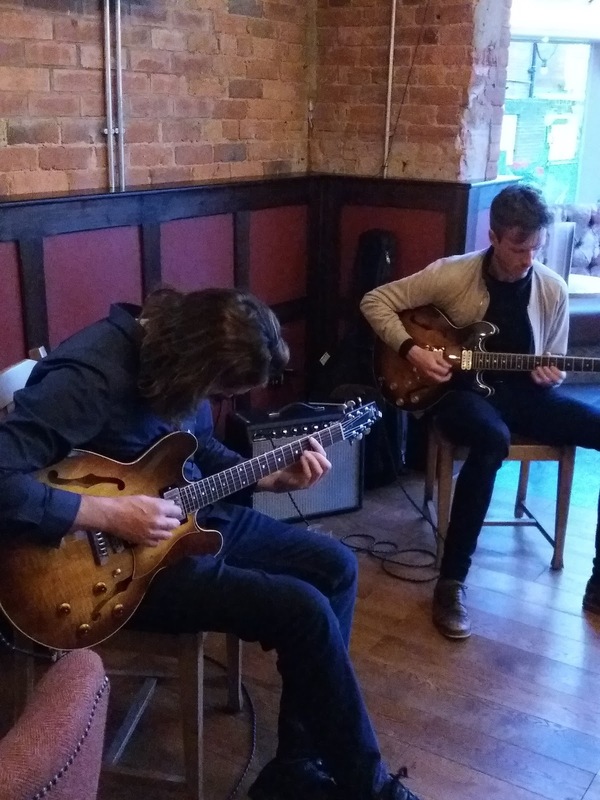 In recent times, principally at this year's Ushaw Jazz Festival and earlier at Durham's Gala Theatre, several practitioners have given concert performances focussing on the art of jazz guitar. James Birkett at the Gala alongside George MacDonald, at Ushaw, Early Birder Matthew Downey, In Other Words' Nathan Lawson, undergraduate Francis Tulip, Giles Strong and Roly Veitch, and, getting a nod of appreciation from Alan Barnes, Strictly Smokin's Pav Jedrzejewski. 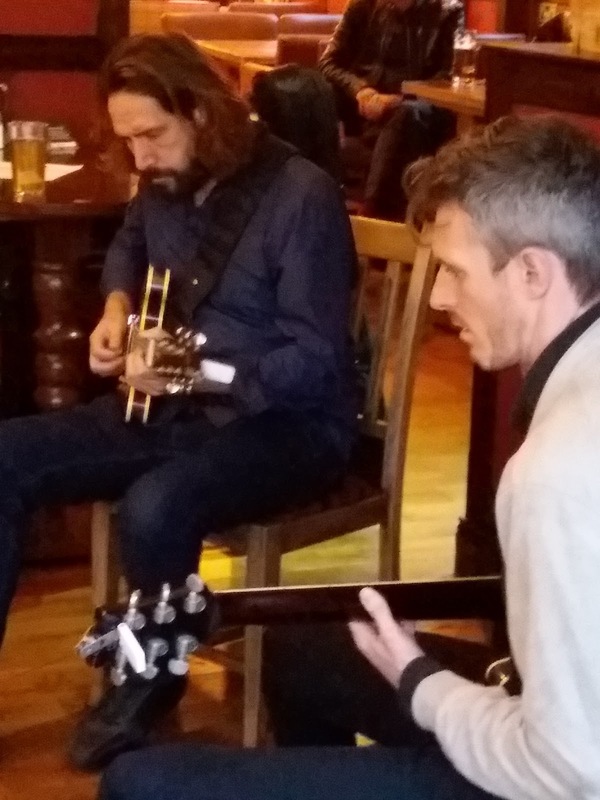 Three days on from Ushaw's big bash two quiet men of the guitar - Mark Williams and Joel Byrne-McCullough - played a gig of their own at the Dun Cow. Samuel Martinelli (drums); Claudio Roditi (trumpet/flugel); Tomoko Ohno (piano); Marcus McLaurine (bass). An unexpected gem that almost got overlooked. 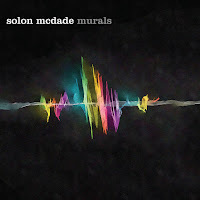 A delightful album reminiscent of Miles in the post-Parker/pre-electronic years when he was as sweet and as mellow as any of his contemporaries. Roditi too has that quality. The tone and the ideas are from the same school - cool but not without warmth. Ohno is as good as any pianist east or west of the sun and comps effectively behind the trumpet. Roditi knows he can fly and that Ohno will catch him if he falls. As for Ohmo, no safety net needed - sound in support and, in her solos, inventive and as creative as any of her peers. 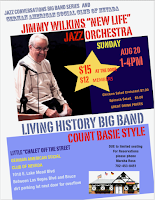 Although his brother Ernie was perhaps better known, Jimmy Wilkins, nevertheless, held down a trombone chair in the first modern Basie Band in the early 1950s and played and recorded with a variety of musicians until April this year. His passing on August 24 at the age of 97 proves that not all the good die young. This Jazz Wax obituary is a worthy tribute to one of jazz's relatively unsung heroes. The band’s repertoire includes all-time favourites like: Green Onions, Time Is Tight, Soul Limbo (Test Match Special Theme), Knock On Wood, Hip Hug Her, Cissy Strut and Just Kissed My Baby. However, they also cover rare groove classics such as Thai Stick, Red Beans and Rice, Harlem House. He moves in mysterious ways... I was just about to start my review of Vince Bell's Ojo when this Kurt Elling Blindfold Test on a track from the album turned up in my Inbox. 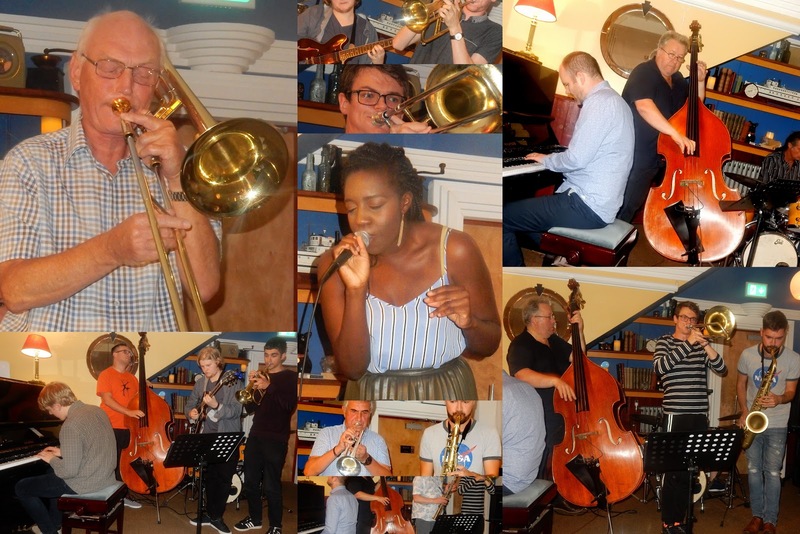 The ever popular Village Jazz Festival in Chapel Allerton Leeds returns this week - running from Thursday 30 August through to Sunday 2 September with venues throughout Chapel Allerton and featuring the usual entertaining and eclectic mix of jazz, blues and salsa – something for all tastes! Mostly Leeds based bands, representing the amazing breadth of the local jazz scene, and with the headline international jazz star Julian Argüelles starting off his UK tour at Seven Arts. The festival starts with the Big Easy swing band on the Thursday 30 August featuring the swing music of the 20’s and 30’s with the greatest tunes by the giants of swing; Louis Armstrong, Louis Prima, Nina Simone and many more household names, added their own interesting arrangements to bring you a set of the finest swing tunes (at Seven Arts 8pm). Support is from jazz songstress Emily Brown with her quartet. Bongo player Jack Costanzo passed away on August 18 at the age of 98. 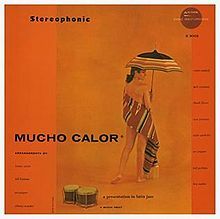 Although I never heard him live I'm very familiar with his work on records with Stan Kenton (Peanut Vendor and Bongo Riff); Nat Cole (Calypso Blues) and Art Pepper (Mucho Calor). Truly a master percussionist as can be witnessed on the examples in this NY Times obituary. It wouldn't be Ushaw without Punch (A.K.A Alan Barnes). 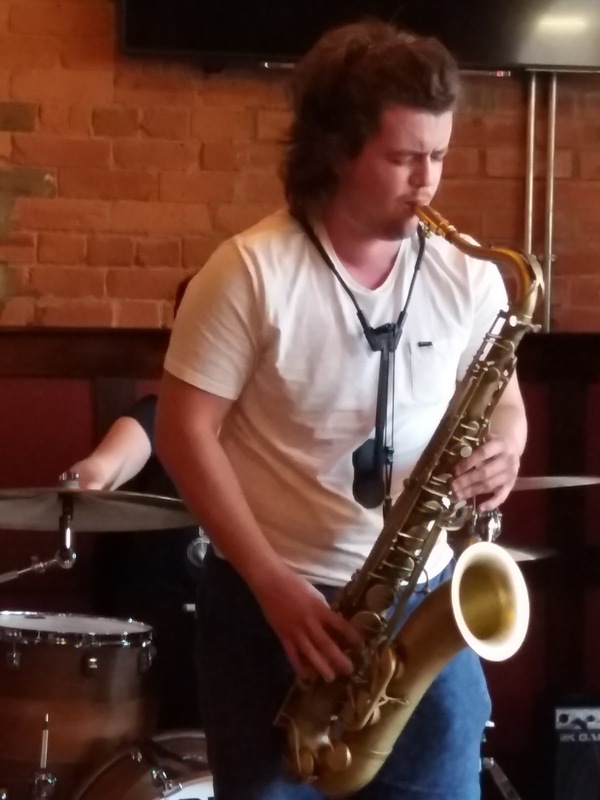 The much-travelled sax/clarinet ace covers more miles than Lewis Hamilton, hopefully not quite as fast although, when wielding saxophones large and small, he's well outside the speed limit and should be booked (for next year's festival). I've heard this genial performer on many occasions but I don't think I've known him to burn quite like he did on baritone last night. In keeping with the band's name, he was on fire yet still managed to relax and play some Johnny Hodges' style alto on his own composition Portrait of Belle from his Christmas Suite which he had performed at a previous Ushaw gig. Of course, it wasn't all Barnes, Alan, we had Barnes, David, blowing a lusty trombone on Ecaroh (hold the title up to the mirror and you'll get a clue as to the composer). Guitarist Pawel also impressed. Offering performance opportunities to young musicians has become an integral part of the Ushaw Jazz Festival. This year's three day event opened on Friday evening with the Early Bird Big Band, Saturday afternoon featured the hothouse duo of Francis Tulip and Matt MacKellar (Birmingham and Berklee students, respectively) alongside the Whitley Bay keyboard wizard Joel Brown, and, on a lazy Sunday afternoon in the Francis Thompson Room, two bands (seven musicians, average age seemingly not much more than seventeen and three quarters!) were intent on making a big impression. A short set, all of thirty minutes, meant there was no time to waste for the three young musicians calling themselves In Other Words. On Sunday morning Paul Edis, working alongside reedsman Graeme Wilson, coaxed sounds from the pipe organ in the splendid setting of St Cuthbert's Chapel. 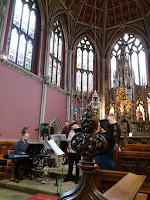 Their half-hour improvised set preceded a performance of Edis' heralded St Cuthbert's Suite by the jazz-folk Ushaw Ensemble. Edis formed the Ushaw Ensemble to work on a 2016 commission telling the story of Cuthbert (born c. 634). 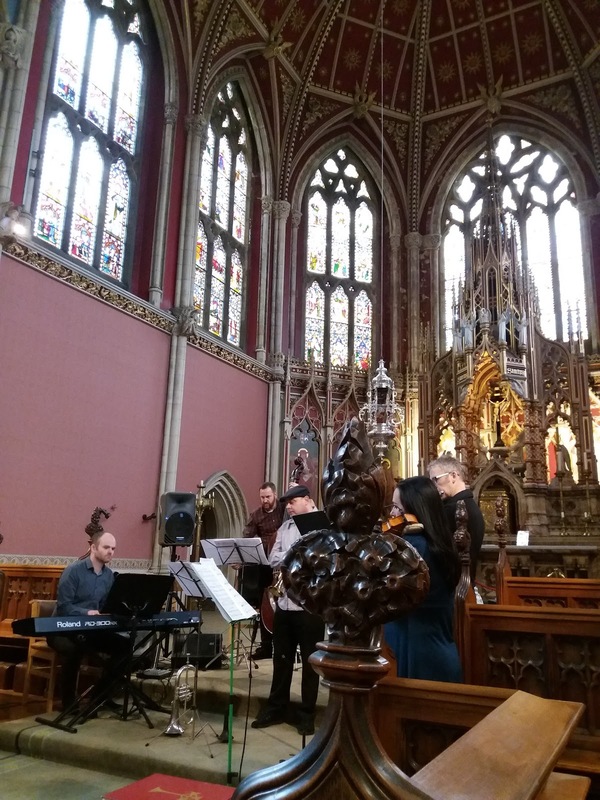 Acclaimed performances at Ushaw and Durham Cathedral were followed by concert dates across the north of England, including an evening at Wakefield Jazz Club. 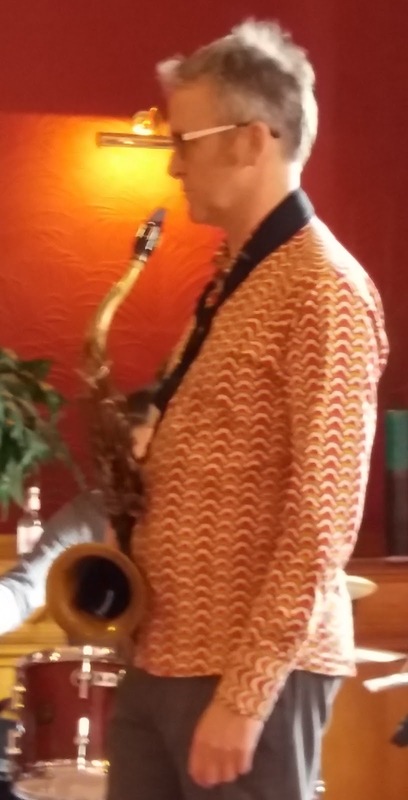 Edis dedicated this Ushaw Jazz Festival performance to Chris de Saram (Wakefield Jazz Club promoter) who died on August 21. 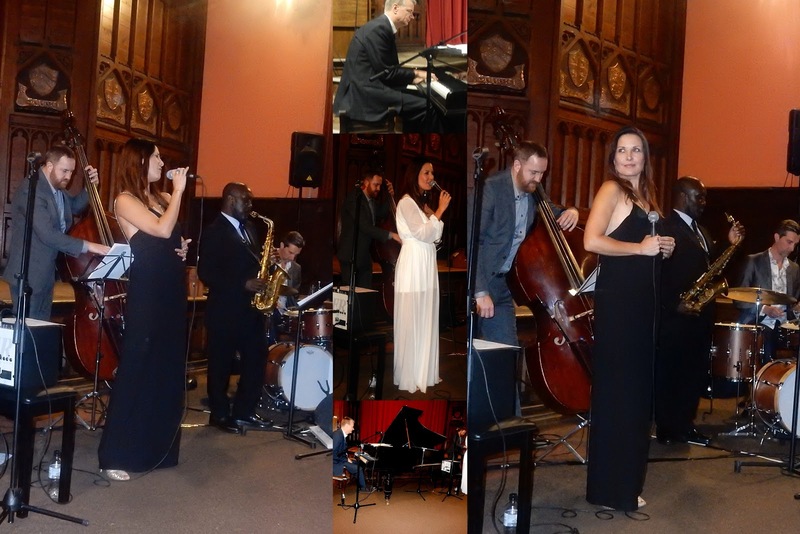 Fever: Jo Harrop sings Peggy Lee @ Ushaw, Durham - August 25. Jo Harrop (vocals); Tony Kofi (alto); Alex Webb (piano); Andy Champion (bass); Russ Morgan (drums). After Nicola Farnon's storming set on Friday night the question on everyone's lips last night was, would Jo Harrop be able to follow that? With a little help from Tony Kofi, Alex Webb, Andy Champion, Russ Morgan and, of course, Peggy Lee, Jo Harrop certainly did 'follow that'! The packed Exhibition Hall responded enthusiastically to local girl made good Jo's interpretation of some numbers associated with Peggy Lee plus a couple of compositions by pianist/composer Webb. However, unlike most of the 'Rat Pack' tributes going around, this was no mere pastiche but a successful reworking of the Lee originals tailormade to suit Jo Harrop's own individual style. One of last night's sadder moments at Ushaw was when Zoë [Gilby] informed me of the death of Chris de Saram on August 21. Although I didn't know him personally, apart from jazz-related emails, his involvement with and enthusiasm for jazz was legendary both with Wakefield Jazz Club, where Zoë got her first big break away from the north-east, and with NorVol jazz. As such, I felt I did know him - his passing will be felt by many. Chris de Saram was 72. 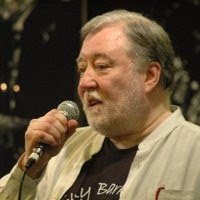 Sebastian Scotney has posted a fitting obituary on LondonJazzNews. A delightful vignette, tasteful and perfectly executed by two masters of their craft. George Barnes, Bucky Pizzarelli, Howard Alden, George Van Eps are some of the names that spring to mind when searching for comparisions. Both Roly and Giles tick plenty of the above boxes and although Pat Metheny isn't in there, nor is Eddie Lang. Instead, it's straight down the middle swing each with their own individual approach, an approach not too far apart. Giles is possibly the more forceful player, Roly the more laid back but, having said that, the roles change from piece to piece making for a very evenly balanced set. Graeme Wilson, reeds. It doesn't tell half the story. A one-time major figure on the north east jazz scene until relocating north of the border, north of Hadrian's Wall being home to the affable Scot, Wilson has maintained links with the region, not least running his quartet comprising three Sassenachs - Paul Edis, Andy Champion and Adam Sinclair. 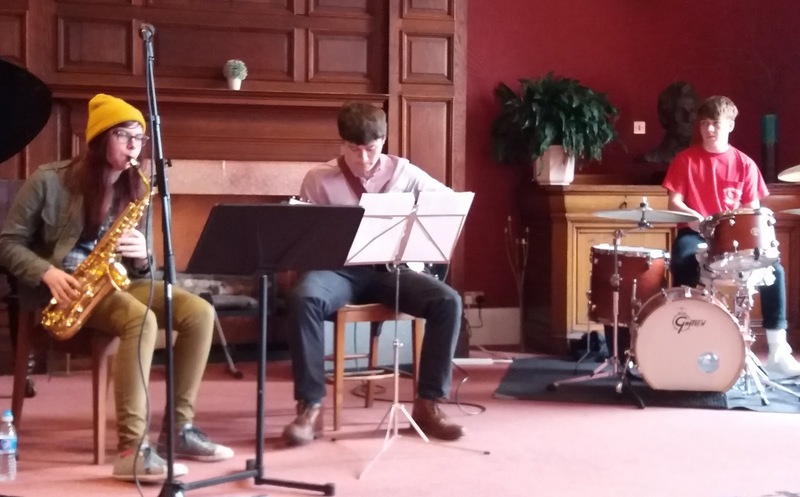 This first concert of the second day of this year's Ushaw Jazz Festival drew a standing-room-only audience to the Francis Thompsom Room. Scottishness, if there is such a thing, permeates Wilson's compositions in subtle and often humourous ways. Hyvot Hill began with drummer Sinclair evoking a Scottish jig - or was it a reel? what's the difference? other than folk music degree students, who cares? - before the quartet went headlong into some serious, heavyweight jazz playing. Complex, constantly changing time signatures, this was the music - and compositional talents - of stellar musicians. Headlining day one of Ushaw Jazz Festival 2018, and, because of an imminent power cut, the trio gave a stunning, albeit abbreviated, performance in the august setting of the historic building's Exhibition Hall. To refer to Ms. Farnon as someone who sings and plays the double bass simultaneously is to do the artist a disservice unless you add that she does both things brilliantly and seamlessly. A choice selection of GASbook gems plus one of her own compositions had the audience enraptured. All the usual suspects were represented: Gershwin, Porter, Berlin, Duke (V); Duke (E); Rodgers and Hart - particularly Rodgers and Hart. For me, the song of the evening in an evening full of super songs, was the Broadway duo's You Are Too Beautiful. Like Nicola Farnon, I too have loved this song since hearing Johnny Hartman do it with John Coltrane. That is the benchmark and, in its own way, so is Nicola's version. Sung with a delicate, almost ethereal quality, it was as if she was singing to you alone - or so we all thought until we got home and looked in the mirror - such was the emotional impact of her rendition. 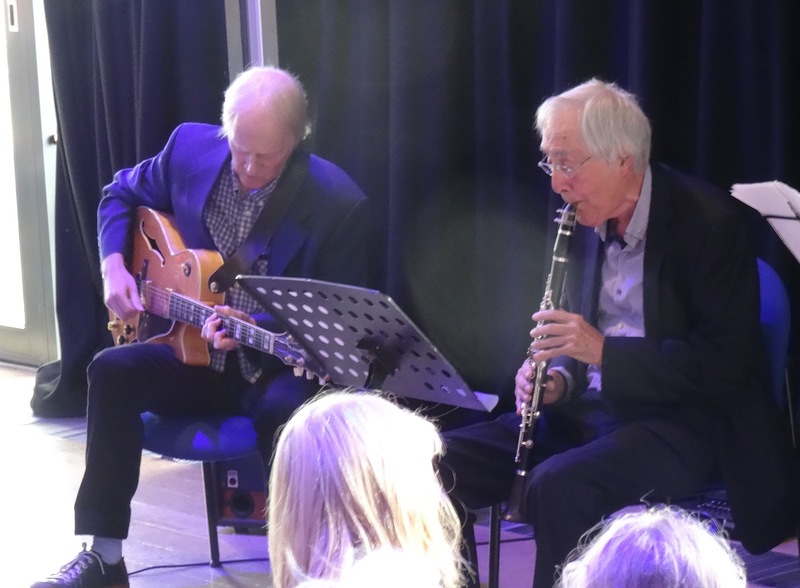 As an advertisement for this weekend's Ushaw Jazz Festival a lunchtime concert at the Gala Theatre featuring genial George MacDonald and friends James Birkett and Bruce Rollo - themselves affable types - proved to be just the tonic as prescribed by our mutual friend Dr. Jazz. 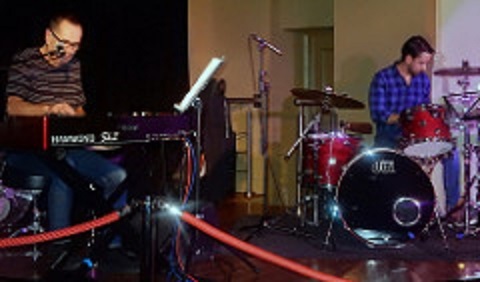 The Gala's monthly jazz concert invariably attracts a capacity audience and this appearance by the Virtuoso Jazz Trio wasn't about to buck the trend. All seats occupied, Mr. MacDonald said they would begin with two tunes written by George Gershwin...one up to the VJT with the first note yet to be played! Friday 24th August 2018 – Stormzy’s this, Stormzy’s that, Stormzy’s now just 7/2 with Betway to be a headline act! The UK grime and hip hop artist’s odds of topping the bill on any of the final three days at next year’s Glastonbury Festival have been slashed to just 7/2 from 10/1. @stormzyofficial updated his Instagram story with a post mimicking Noel Gallagher’s quote: "No, I'm not havin hip hop at Glastonbury. F***in no chance" and the leading online bookmaker has taken measures to shorten their offering of the grime star being booked for Worthy Farm in 2019. Kendrick Lamar, just 4/5 before the latest odds shift, has been pushed out to 6/4 but still tops the betting, ahead of 9/4-chance Elton John and 5/2-shot Kylie Minogue. The house trio set-up in good time as Brandling Park jam session regulars bagged prime seats ahead of the eight o'clock downbeat. It's taken a while but the signs are good, audience numbers are slowly but surely increasing and with next month's influx of students - both freshers and old hands - the future looks bright for the fortnightly session. Things started relatively sanely given that the irrepressible James Harrison led the session. When the Teessider is in town anything can happen. Yardbird Suite set the measure, would anyone be brave enough to get up and give it a go? Step forward Kevin Green toting a soprano sax. A measured Night and Day did no harm and the self-confessed 'am jammer' will return, one hopes, with any lingering nerves banished. Tomorrow sees the start of the third annual Ushaw Jazz Festival. Now firmly established in the jazz calendar, this year's headliners - Nicola Farnon, Jo Harrop and Alan Barnes - are guaranteed to attract large audiences to the magnificent Ushaw estate. The action begins at six o'clock on Friday (August 24) in the Francis Thompson Room. 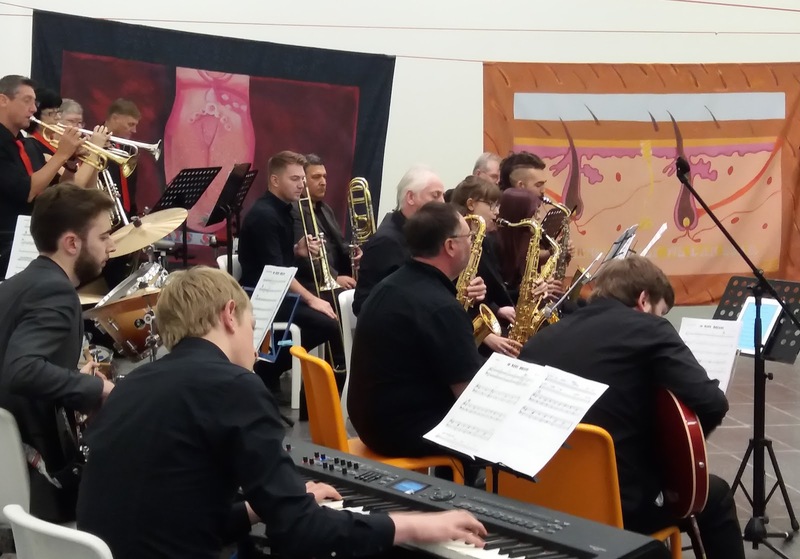 The Early Bird Big Band - an expanded line-up of Paul Edis' young musicians' workshop band - will set the standard for the August bank holiday weekend. Such is the talent within the ranks that some former members have gone on to secure places at prestigious music schools at home and abroad. At eight o'clock Ushaw Jazz Festival director Paul Edis features alongside the first of the event's headline names. Yorkshire-based Nicola Farnon returns to the region having made a lasting impression with a winning performance at Durham's Gala Theatre. The double bassist-singer will arrive at Ushaw - located a couple of miles from Durham City - with drummer Phil Johnson. 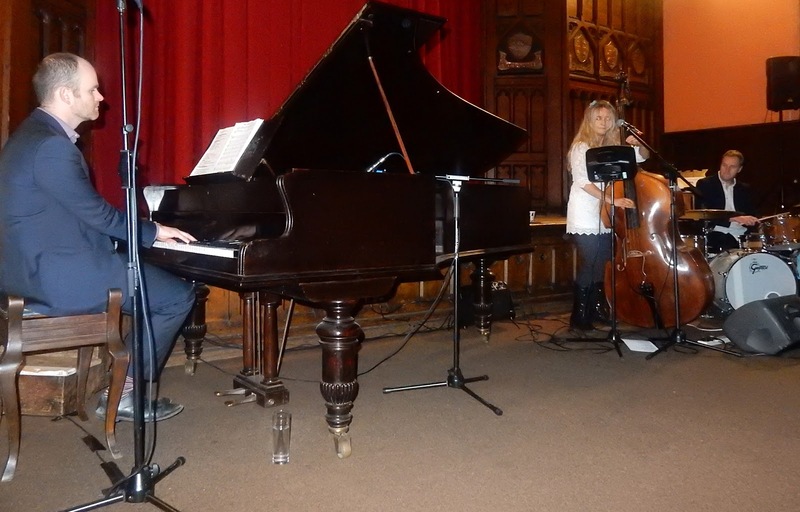 The trio will entertain festival-goers with a programme comprising gems from the Great American Songbook together with one or two original compositions. 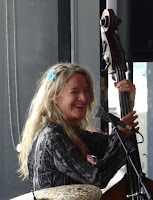 The Nicola Farnon Trio comes highly recommended. Hot (boiling point) dance music is an apt description of this tribute to 1920's bandleader Jean Goldkette. Like Paul Whiteman, Goldkette's claim to jazz's Hall of Fame was in his use of jazzers such as Bix, Trumbauer and the Dorseys. The Bratislavians recreate these period pieces beautifully - as long as they are regarded by listeners as just that - period piece recreations. Goldkette and Whiteman weren't Ellington or Henderson, however, such is the drive of these guys/gals from Bratislava (wherever that is?) that it soon proves to be much more than mere lip-service. The last of the summer jam at 'The Caff' - back again on Sept. 11. Last, but certainly not least, the greatest free show in town didn't let the side down and already folks are getting impatient waiting for the start of the new season. As ever, the trio set the pace and, with Paul Edis at the house upright it was quite a pace. I Hear a Rhapsody; a Tatumesque intro to Tea For Two and some locked hands chording on September in the Rain showed us why this Paul (there were three of them here tonight) is held in such high regard. With him all the way, the Grainger Paul and Walker, Rob, kept things buoyant in readiness for the jammers who were massing at the bar and primed for action. Another late bloomer. Released earlier this year, in April, it has been worth waiting for and not just for the quirky titles! He's a Problem in the Locker Room has a boppy head with flattened fifths abounding as if we were back on 52nd St. 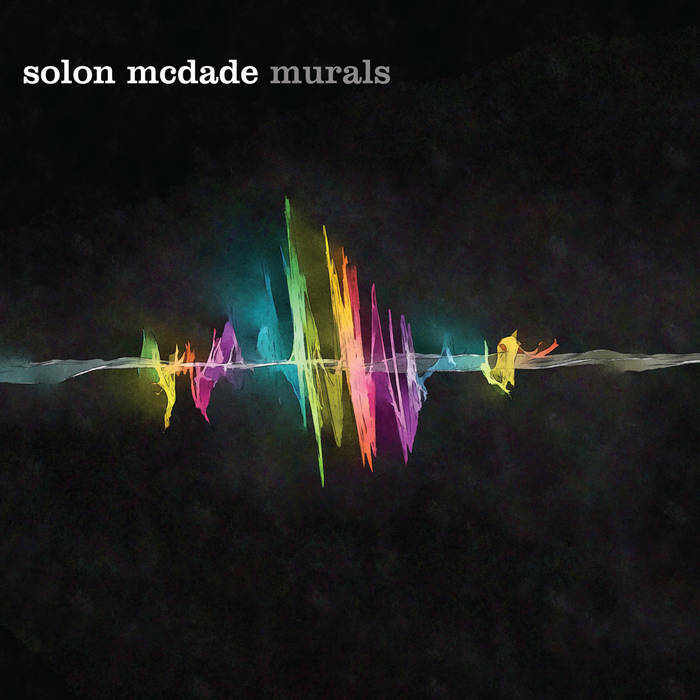 There's a cool Lee Konitz/Warne Marsh feel to the ensembles on this and the subsequent tracks. Stormy weather, no, not the tune, rather the plain English meteorologists use to make comprehensible to the rest of us a subject that goes over our heads...literally! 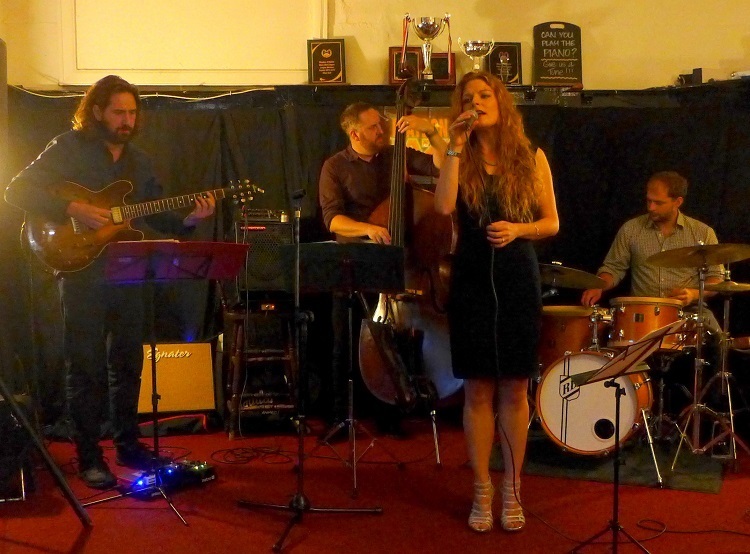 And so it was, mid-March, with snow on the ground, Blaydon Jazz Club took the decision to call off an appearance by a north east favourite, vocalist Zoë Gilby. Fast forward to August, the weather, if not quite blue skies, was mild and dry. Zoë and the boys arrived safely at the Black Bull ready and willing. The Gilby-Champion (that's double bass player Andy) songwriting partnership contributes to the quartet's setlist alongside standards, be they GASbook, bop classics or contemporary popular material. For the duration of the Great Exhibition of the North, Lubaina Himid is the star of the show at Baltic. The Turner Prize-winning artist is exhibiting Our Kisses are Petals at Gateshead's contemporary art gallery with an accompanying twelve-week programme of events inviting musicians to create a response to Himid's work. Week nine (August 19) featured the Gala Big Band performing in Baltic's ground floor gallery surrounded by the artist's paint-on-cloth series exploring, and subverting, the symbolism of the flag. 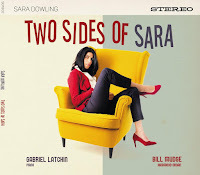 When a CD/artist arrives on the back of endorsements by Guy Barker, Nigel Price, Sebastian Scotney, Jazz Journal and Mojo the least I can do is check it out before sending it down to the local Oxfam shop. I'm rather glad I did! Sorry Oxfam, but charity begins at home and this one's staying at home - mine! One of the current trends amongst jazz vocalists is to draw from the Ella/Joe Pass albums but, great as those albums are, the earlier collaboration between Ella and pianist Ellis Larkins topped them. The First Lady was at her absolute peak in the years before Granz turned her into a songbook-churning machine and Larkins was, arguably, the finest accompanist she ever recorded with and I haven't forgotten Peterson, Tommy Flanagan, Paul Smith, Don Abney and the others but with Larkins, the chemistry was there. Abbie Finn (drums); Harry Keeble (tenor); Paul Grainger (bass). Two sets and both delightful with the addition of Paul Grainger on bass perhaps giving a marginal edge to the second set although some could, and one did, argue either way. Whatever, it's an awesome task to face the world without the cushion of a full rhythm section and/or another front-line instrument. What am I saying? The young Ms. Finn is a rhythm section in herself! The support she gave the lone figure out front ensured it was never boring allowing him to fly freely with a seemingly endless flow of ideas. A fine mix of standards with a couple of originals - Steam and Machine inspired by the products of a County Durham micro-brewery - thrown in for good measure. Perhaps the Steam Machine Brewing Company also gave them the idea to play Straight No Chaser. The intro to the Monk tune was so complex that too many chasers would have made it impossible to execute with such precise timing. 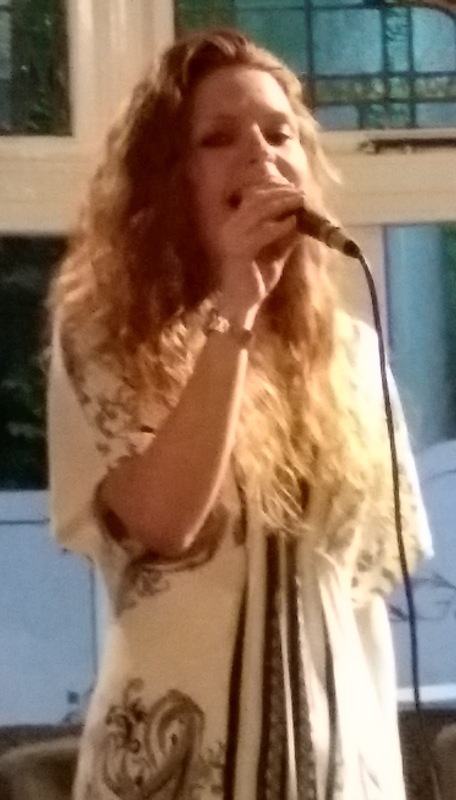 Tomorrow (Sunday) at the Black Bull, Blaydon sees the long-awaited return of Zoë Gilby. The nationally acclaimed vocalist was scheduled to appear at the Bridge Street venue in March but, due to heavy snowfall, the concert, in common with many other events at the time, was cancelled. Now Gilby and her band are sure to make it to Blaydon without mishap. It's an eight o'clock start, two sets, original material, a selection of standards both vintage and contemporary, and musicianship of the highest order in keeping with Gilby's high profile. The Tyneside based vocalist will be joined by one of Ireland's finest exports - guitarist Mark Williams, bassist Andy 'Undefeated' Champion, and from the Tees Delta, drummer Richard Brown. These are all from 2-5pm, upstairs in the Globe Jazz Bar. There may be extra workshops for vocalists, according to the wishes of the participants. 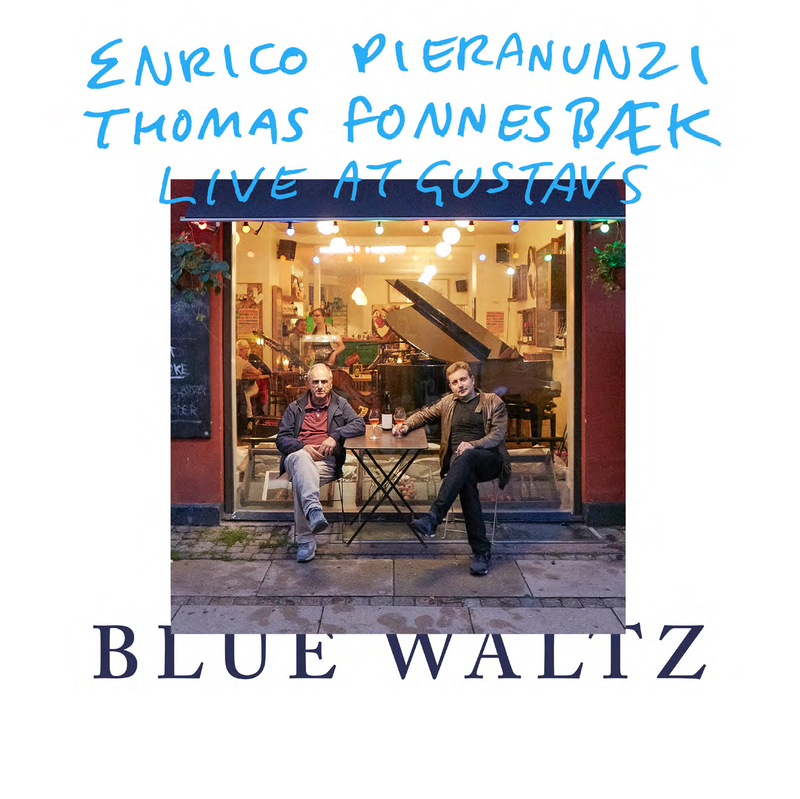 CD Review: Enrico Pieranunzi & Thomas Fonnesbæk - Blue Waltz. 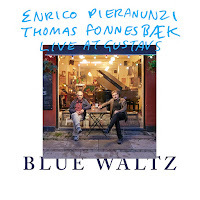 Enrico Pieranunzi (piano); Thomas Fonnesbæk (bass). So much happening jazz-wise in the northeast these days that the CDs are once more piling up. So, if you have sent me a bumper bundle, please be patient and change your name to Job. Chances are I'll not even listen to them. Such is the volume of recorded material I'm being sent that it's likely that 90% of it will end up in the garage and, if you want the address of my garage I'll happily provide it along with a crowbar. However, one album which won't end up in the garage, other than on the car stereo is this one. Steal the car if you must but please leave the CD behind. County Durham-based correspondent Tony Eales filed a brief report to the BSH news desk on yesterday's lunchtime concert at Bishop Auckland Town Hall. The informal setting of BATH's Coffee Shop saw a good crowd turn up to listen to the Gerry Richardson Trio. 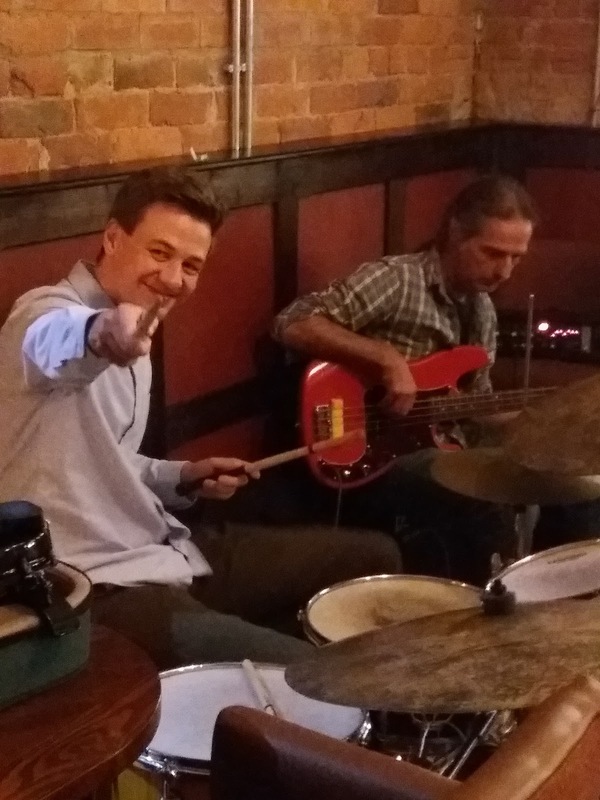 Organist Richardson arrived with the Sinclairs - guitarist Rod (uncle) and drummer Adam (nephew). Eales confirms that the trio received a great reception and it won't come as a surprise if promoter Mick Shoulder offers a return booking. The monthly jazz series continues into the autumn. 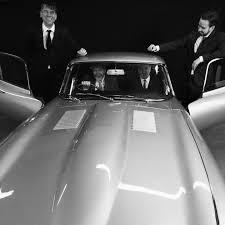 The eagerly anticipated visit by the Nigel Price Organ Trio at Gosforth Civic Theatre on Sept. 6 has been cancelled. In a press release, GCT stated that it was due to unforeseen circumstances and that ticket-holders would be refunded in full. They hoped a rebooking of the band, which included sax-wiz Vasilis Xenopoulos, could be arranged for a future date. 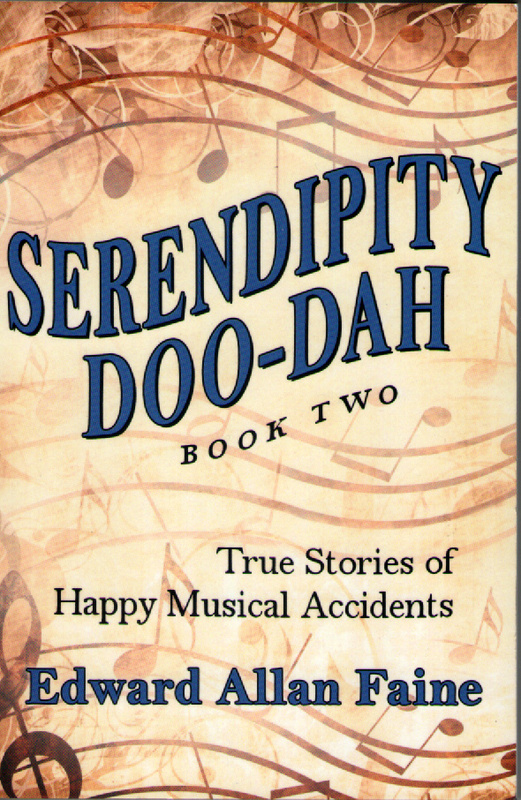 Following up on last year's Serendipity Doo-Dah Book One, Edward Allan Faine once again provides the background to those 'True Stories of Musical Accidents'. Although not quite as jazzy as the previous volume, there is, nevertheless, plenty to interest those who love popular song whether it be by Jerome Kern, Sammy Cahn and Jules Styne or Phil Collins and Madonna. Plus, with Faine writing, jazz is never far away. But the genre is immaterial, it's the songs and the stories behind them as well as the author's own input that makes this such interesting reading. Due to a sudden illness, Harold Mabern will be unable to take part in the Burnin' in London album tour as planned. New York pianist Mike LeDonne, who has performed with Eric Alexander for years, will replace Harold. Mike has played with many of the greats in jazz, including Benny Goodman, Sonny Rollins, Bobby Hutcherson, Milt Jackson, Stanley Turrentine, Dizzy Gillespie and a number of others. New York-based saxophonist/composer Seamus Blake joins the line-up of Eric Alexander, Mike LeDonne, Aldo Zunino and Bernd Reiter for three launch concerts at London's Pizza Express Soho. Seamus is recognised as one of the finest exponents of contemporary jazz and has performed with exceptional artists, including John Scofield, Antonio Sanchez, John Escreet, Gonzalo Rubalcaba, Chris Cheek, David Kikoski and Alex Sipiagin. Ubuntu Music is extremely proud to release the first live recording of Burnin’ in London by the New York All-Stars on 7 September. Review. It's common knowledge that Aretha sang gospel prior to becoming the Queen of Soul, but the Jazz is less known, though what I've heard sounds fine. It may come as a surprise to some that I haven't heard everything she's ever done, but I haven't and have no intention of doing so. Much is made of her gospel roots, but that was already present, in the music of Ray Charles, James Brown, Solomon Burke and especially Sam Cooke. Nevertheless, it's impossible to overstate her significance in soul music, and particularly amongst the ladies. For many years it was difficult for female soul singers to become established without the Aretha grain. Roberta Flack initially became a singer-songwriter in the vein of Joni Mitchell because she didn't fit the Aretha model. You either did Aretha or Diana Ross. As I scour the news channels, I cringe at some of the clips of her faltering voice; a voice on the edge, on a tightrope, the site of the finest art. Hardened Soul Fans will tell you that, while Aretha's voice often fell on the wrong side of good taste, particularly after her sixties/early seventies heyday, Linda Jones never missed. The sad, but not unexpected, news that Aretha Franklin, the undisputed Queen of Soul, died today has left music lovers of all genres in mourning. Gospel and soul were how the world saw her but, in the early days of her rise to fame jazz was her marketing label. And even when that fame arrived most of the jazz audience still claimed her as one of their own. That jazz feel was always there, as it was/is with most soul singers. 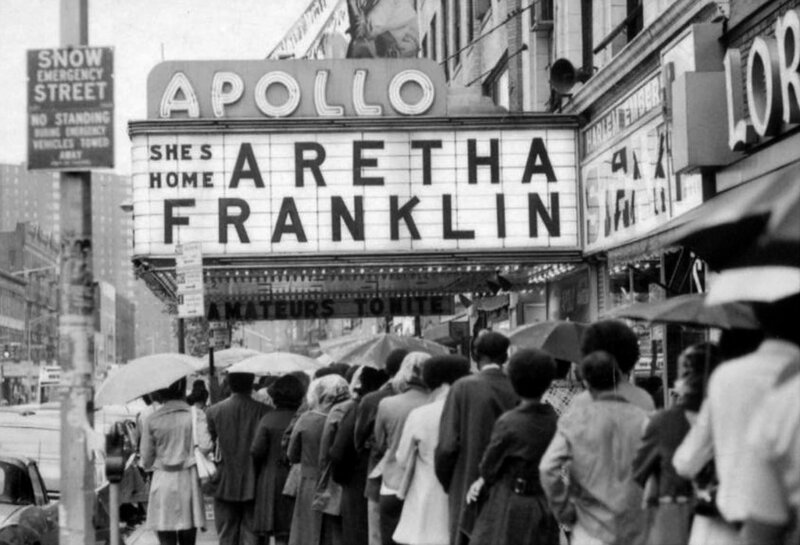 To say she will be sadly missed is the understatement of this, her 76th year, and, although there were millions who said a little prayer for Aretha, it wasn't enough. Applause after solos in the mid-performance of a piece has long been a tradition in jazz albeit not a tradition applauded by everyone. In other forms of music such as grand opera applause is only given at the end of an aria when the rendition has, by general consensus, been sufficiently outstanding to merit the disruption of the show whereas, in jazz, the audience tends to clap irrespective of merit. And, if the audience doesn’t oblige, I know one bandleader that practically orders them to put their hands together and woe betide those who don’t. The old Alex Welsh band were the first name band I encountered who used similar tactics. 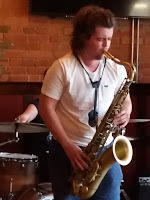 After a solo by one of his sidemen, Alex would exhort the crowd to ‘make him happy’ irrespective of how unhappy the player had made the audience feel although, I must confess, that I can’t recall any of the Welsh band making this listener feel unhappy. But the principle is there, after all, you don’t applaud dropped catches in cricket or missed ‘sitters’ in football. I remember reading in an old Jazz Journal of film star Judy Holliday who, at the time was in a relationship with Gerry Mulligan, standing at the edge of the stage egging-on the audience to applaud a performance by the Mulligan Quartet at a concert in Paris.